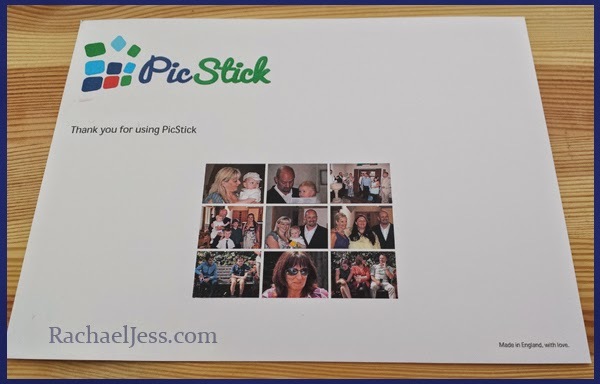 Anyone who follows my blog will know I LOVE having our pictures up everyone around the house from Canvases on the wall to Polaroid effect images around the mirror, so when PicStick asked if I'd like to review their picture magnets I was more than happy to! 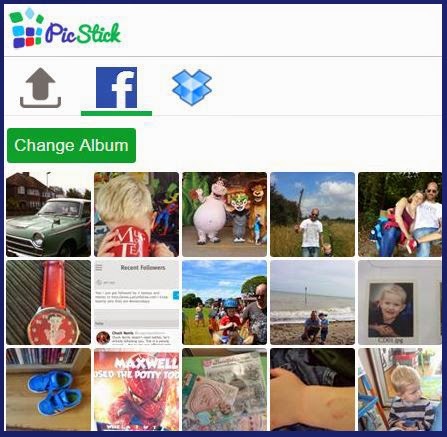 Once you have created an account with PicStick you get the option to connect and upload from Facebook (always my favourite option), upload from Dropbox or upload via your PC (probably the best option due to facebook quality is not always the best). I must say, my facebook albums loaded rather fast compared to other programs and selecting the images were rather quick and easy. I like that you also get the option to crop and where necessary rotate the images before saving. 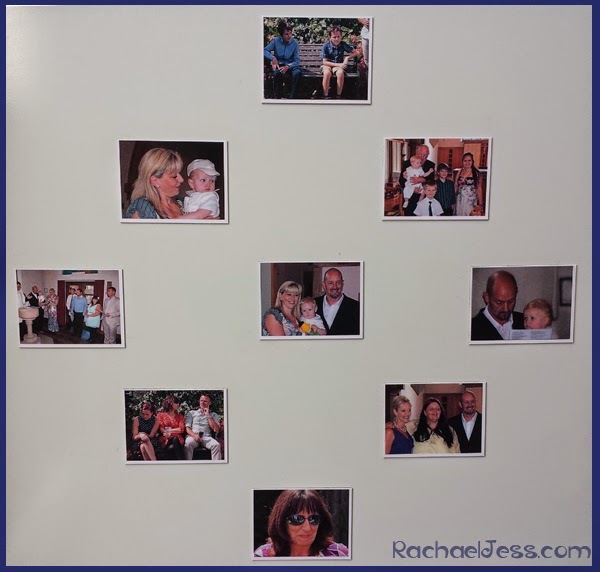 Once all 9 images have been selected - unless you are going to have 1 big magnet you don't need to worry about the arrangement (yes, I did fret that I wanted my sister next to her boys and our image in the middle!). 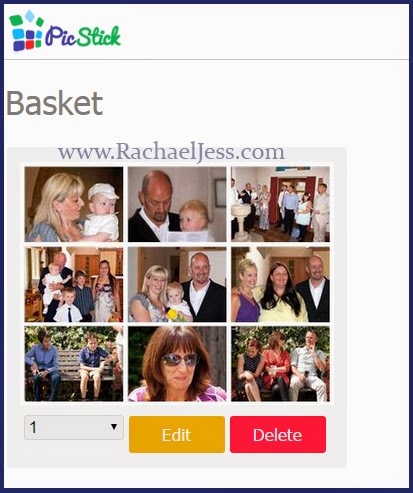 Once done you can edit your pictures then save and pay - it really is as easy as that! Once your order has been placed you are kept up to date with emails regarding its status with a final one letting you know when your goods have been dispatched. For UK deliveries the magnets will then take 1-2 days to arrive. I do love the thank you card that comes with the magnets, nice touch, but if I'm honest I wasn't overly impressed with the magnets when they turned up on one sheet - until I broke them all up! Then I saw how great they actually are and would definitely order from PicStick again! The cost of this product is just £9.50 with free shipping! I think that's a great value. After all, you could have 1 image 9 times and have them as a little thank you gift for birthday/Christmas presents. 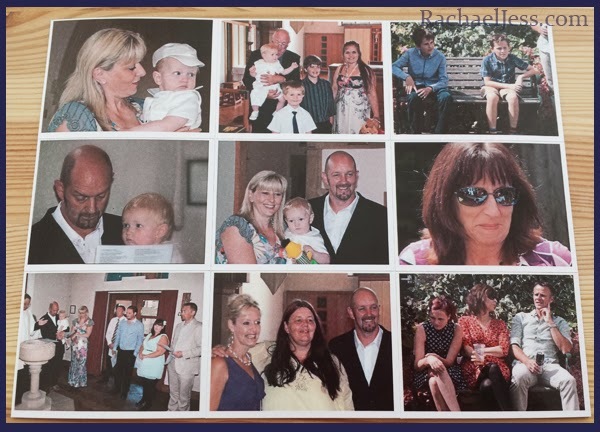 Have a 9 image grid for friends and relatives, the options are limitless and under £10 that's rather a bargain. Oh but that's not all! If you use discount code JESS25 you get 25% off!! So the cost of your 9 magnets has just dropped down to £7.13 with FREE posting! That really is a good deal - just in time for Christmas.... yes I used the C word! Disclaimer: I received these magnets from PicStick to review.